In a rush? 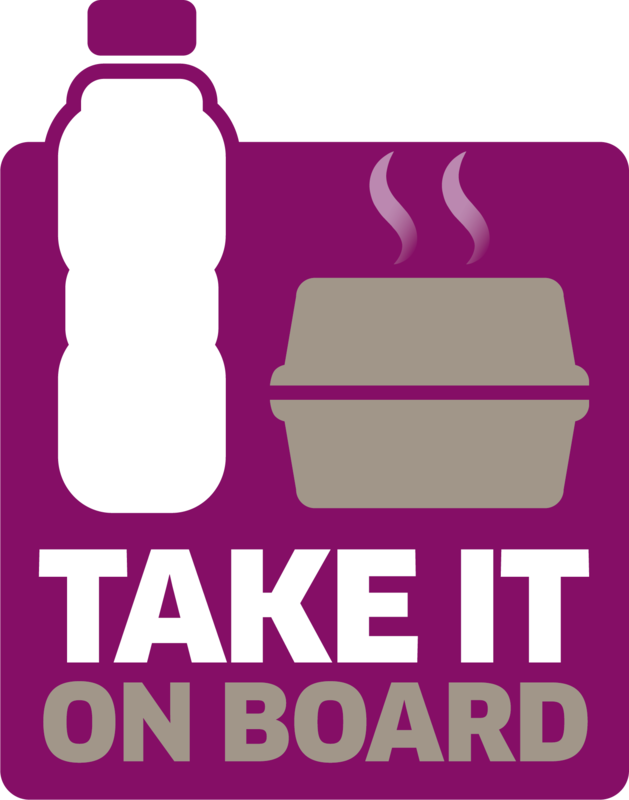 Ask for your meal to be served in a handy to-go dish which you can take with you on the plane. 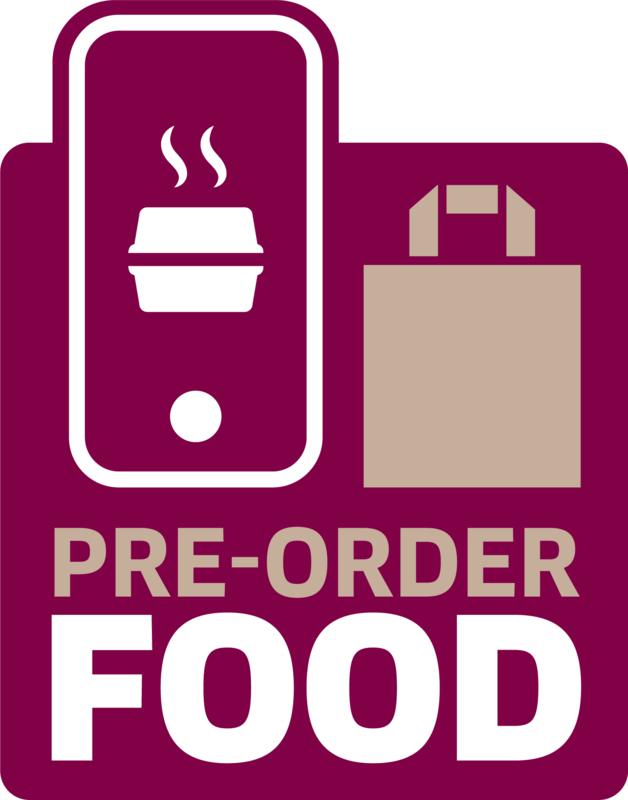 Or, when you arrive at the airport, pre-order your food and simply collect on your way through departures and take it away with you!